duchess fare: Chairloom Makes Me HAPPY! Chairloom has done it again! The Ardmore, PA based furniture shop breathes new life into antique & vintage pieces, setting them onto a refreshed design journey. 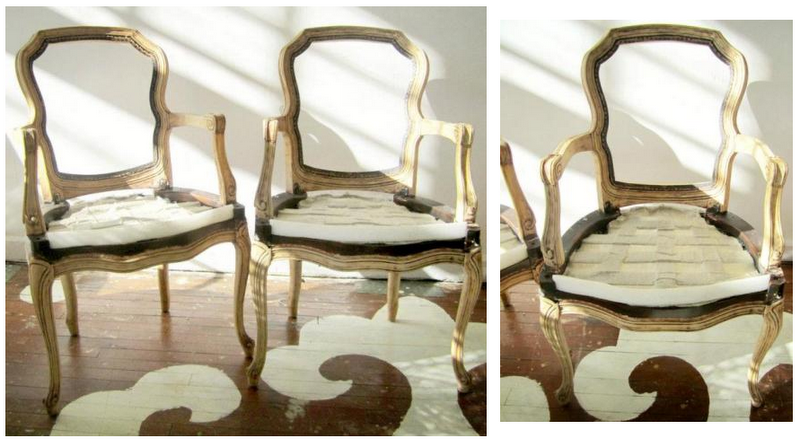 Their most recent completed repurposed project, a set of Bergere Arm Chairs (before, in progress, & after photos below), was posted this morning. Chairloom removed the original cane backs and sanded down the dark stain to the natural finish. They chose Alan Campbell's Zig Zag Linen for upholstery, adding a cushioned seat back. This set is available for purchase, $1750. 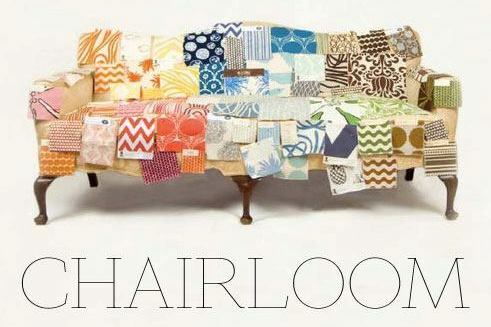 Click here to read my previous post on Chairloom.